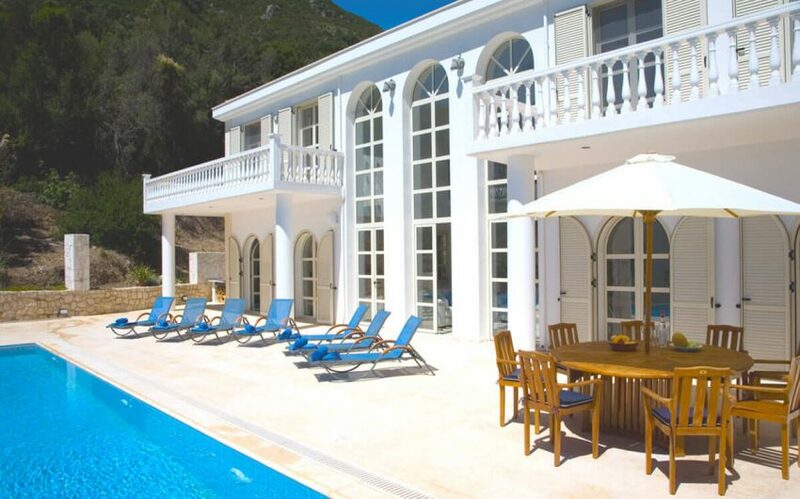 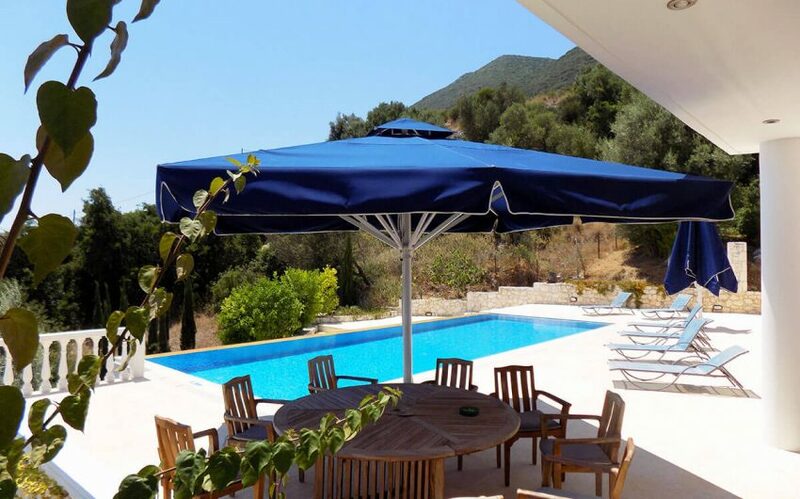 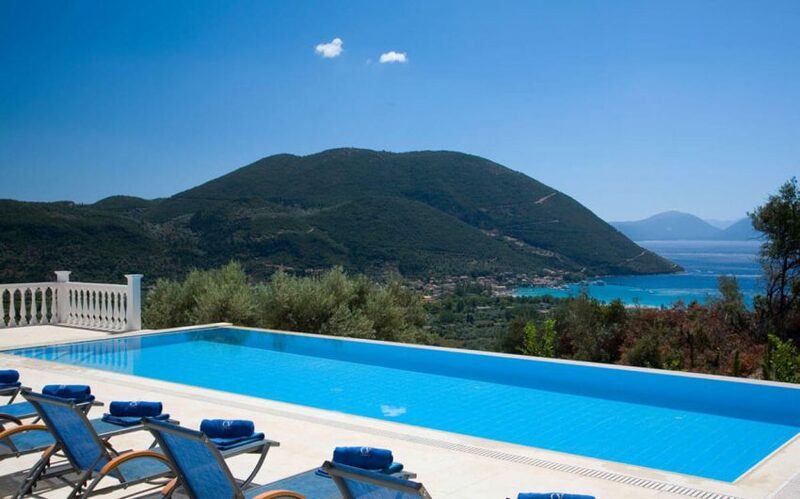 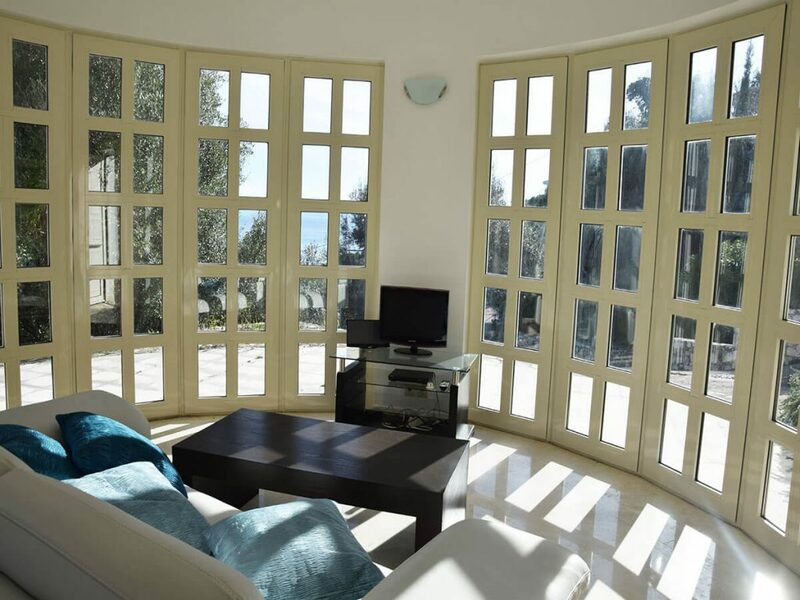 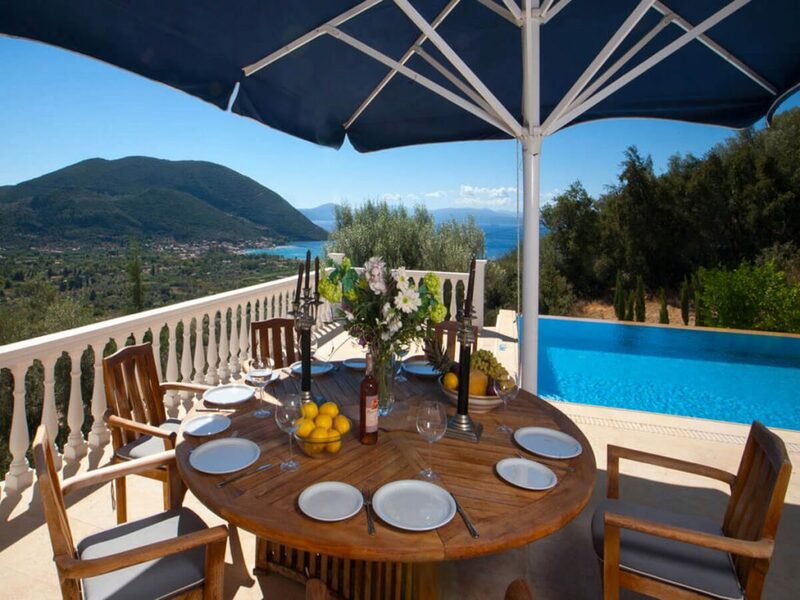 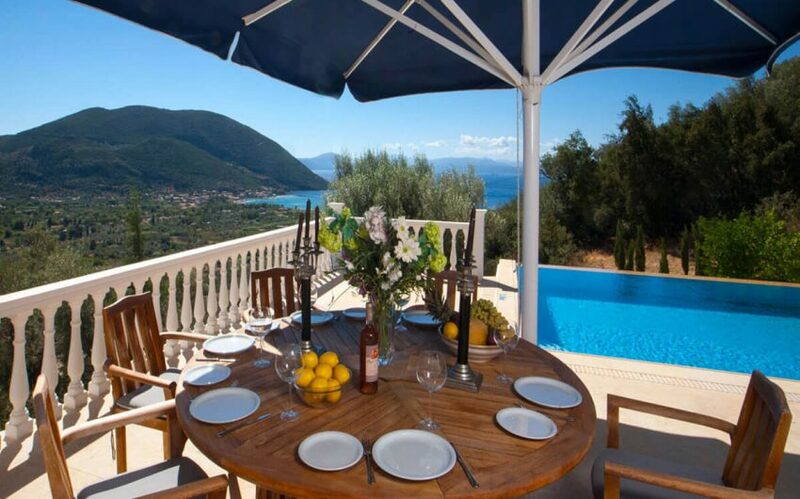 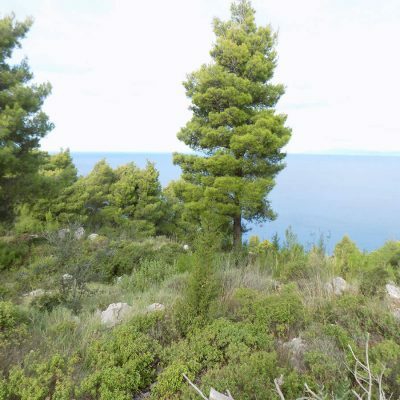 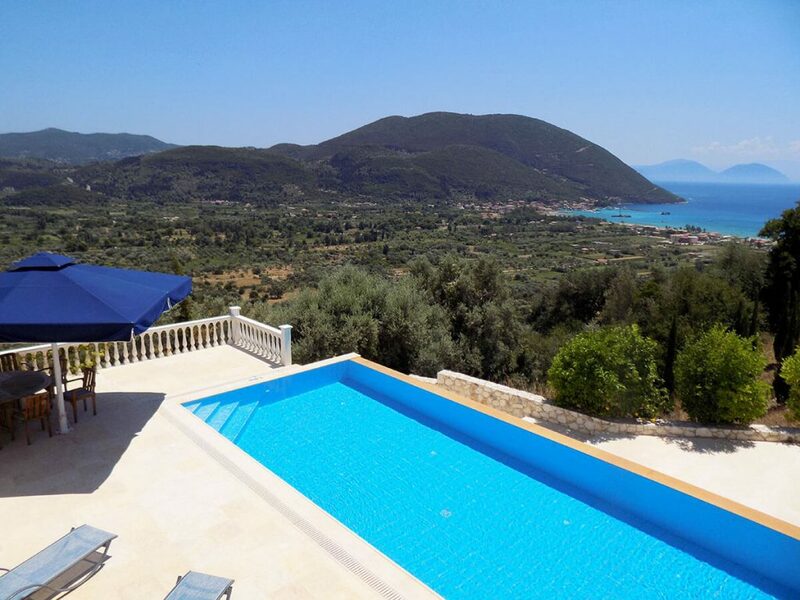 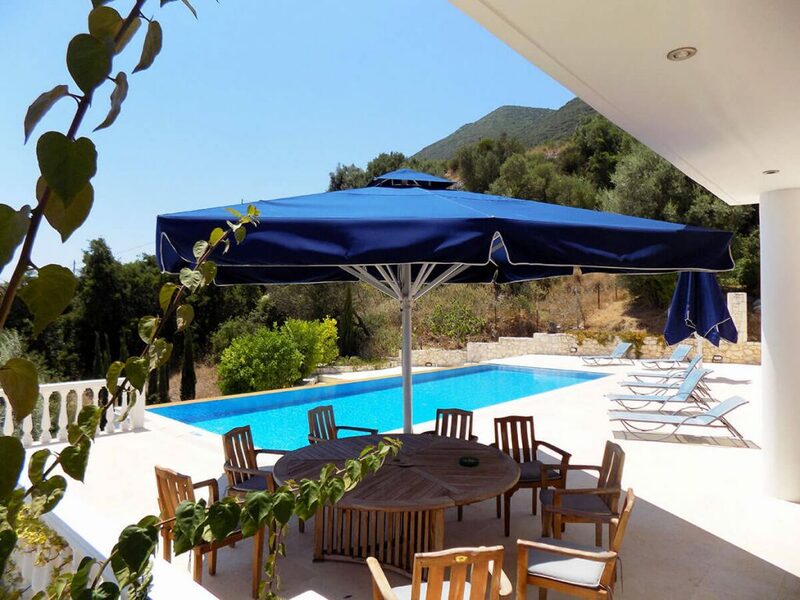 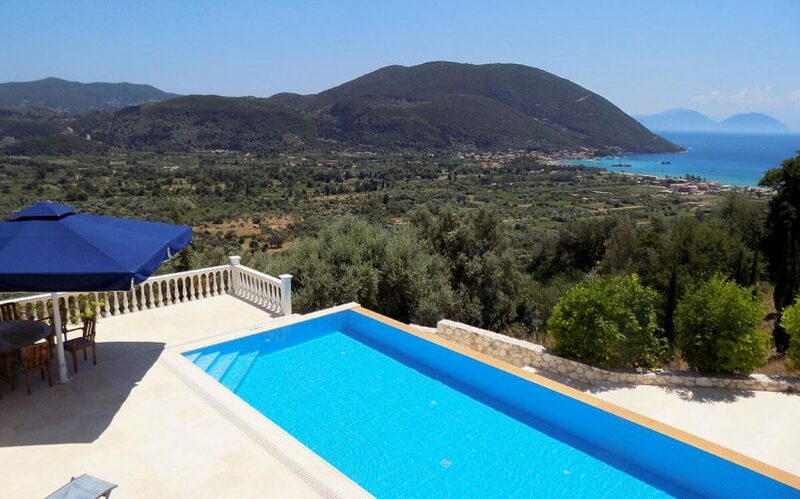 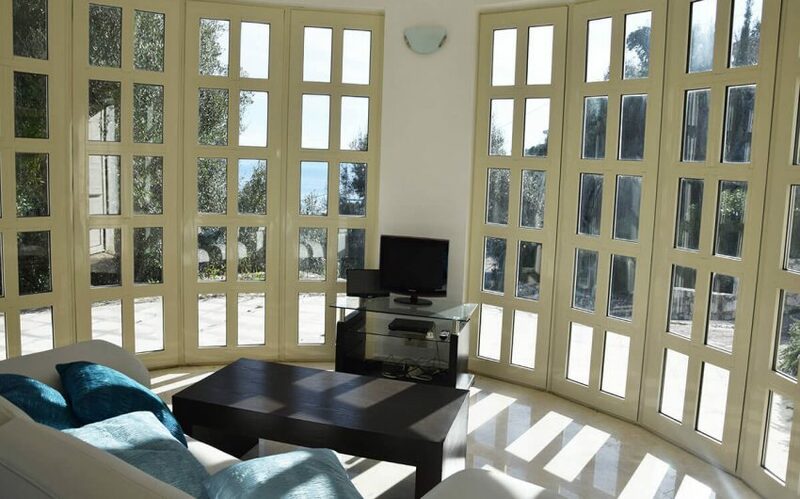 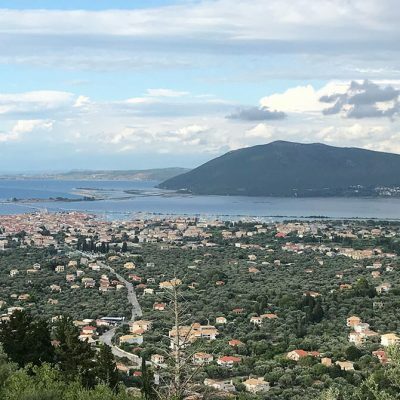 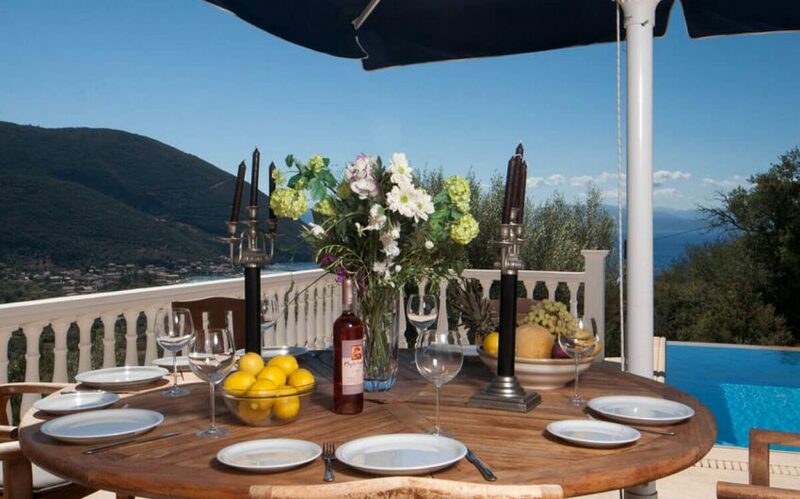 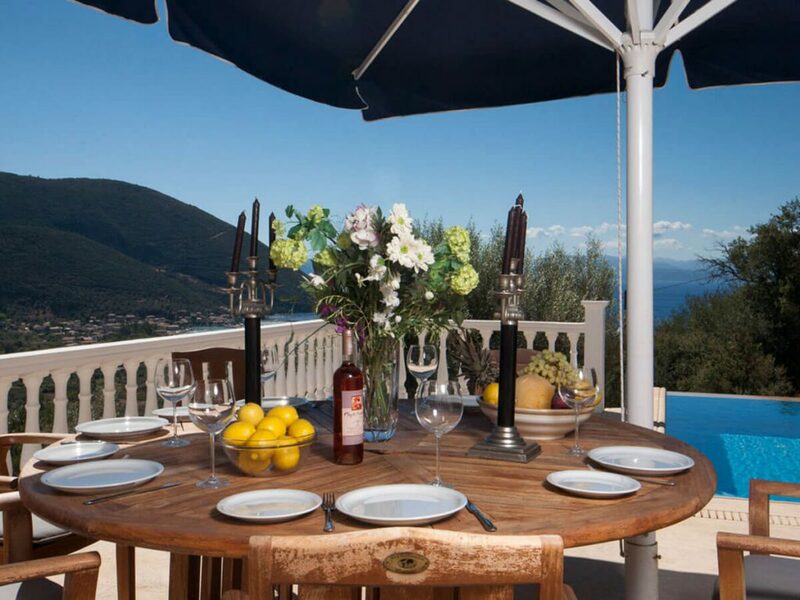 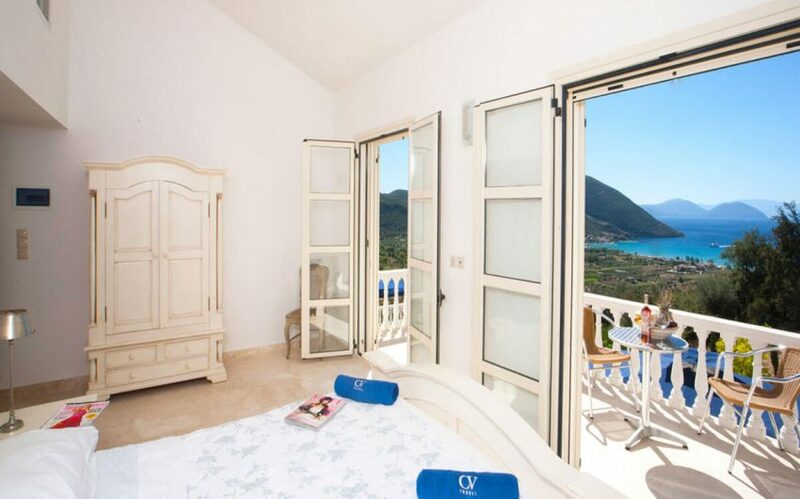 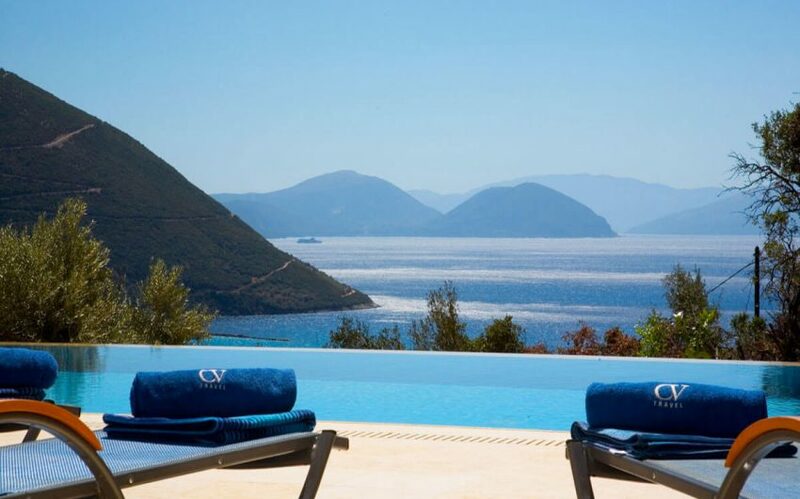 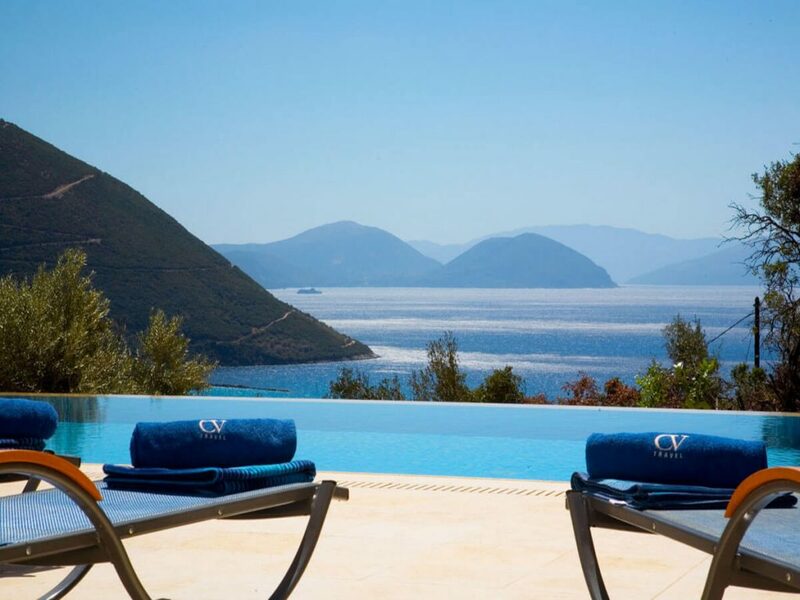 For sale in Vasiliki of Lefkada a luxurious villa with pool and beautiful view. 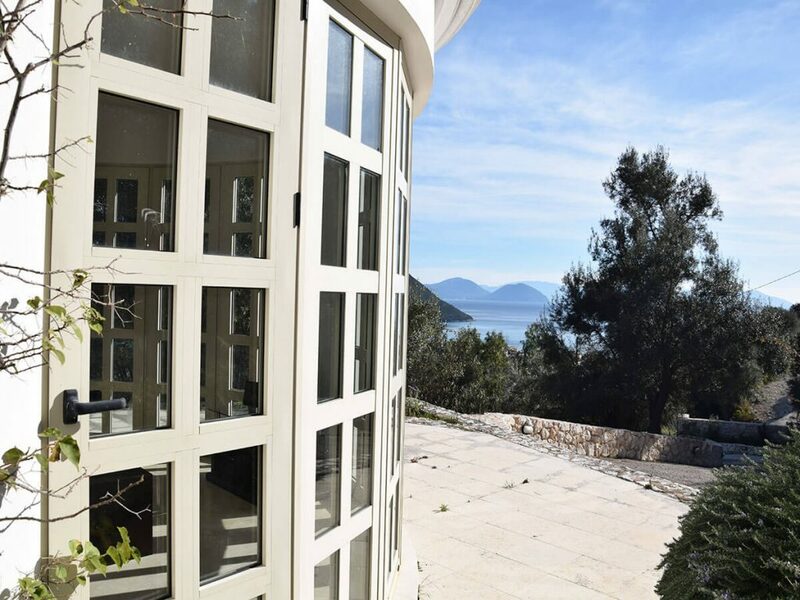 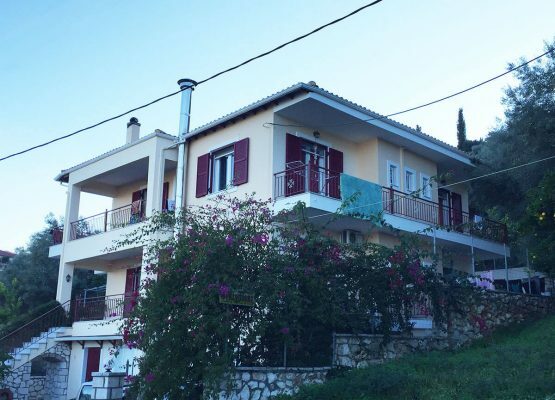 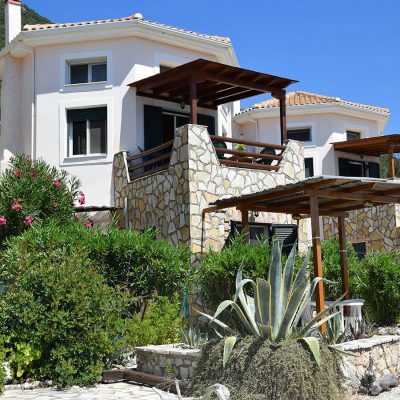 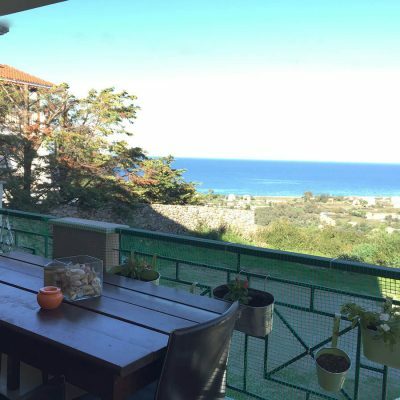 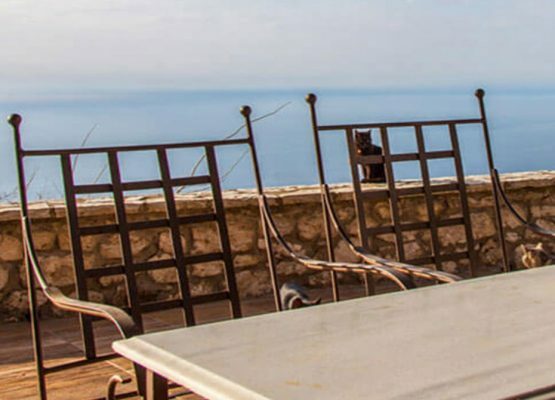 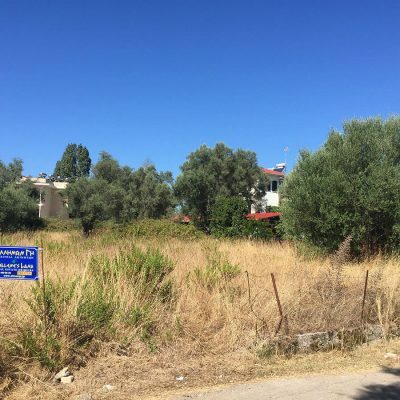 This house of outstanding architecture is located in a superb position on the hillside of Vasiliki, enjoying panoramic view to the beautiful beach and the bay of Vasiliki, as well as the valley and the surrounding full of green mountains. 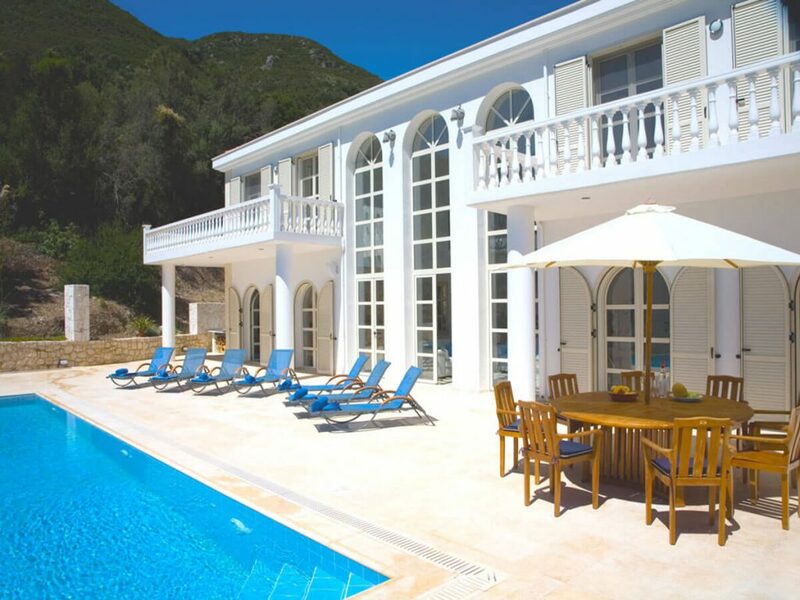 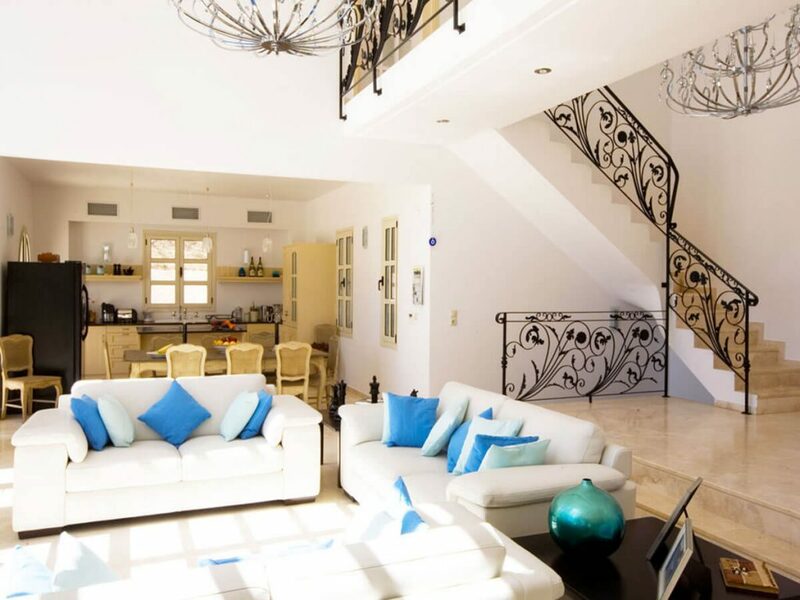 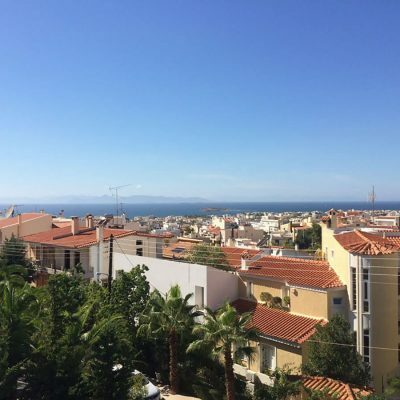 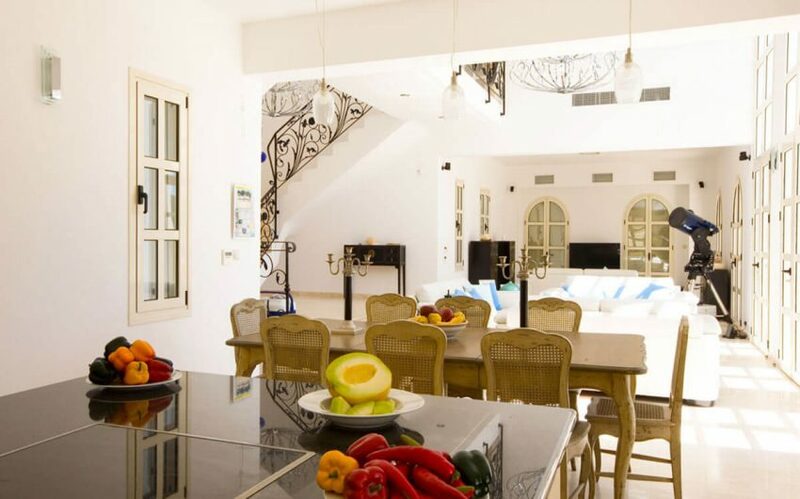 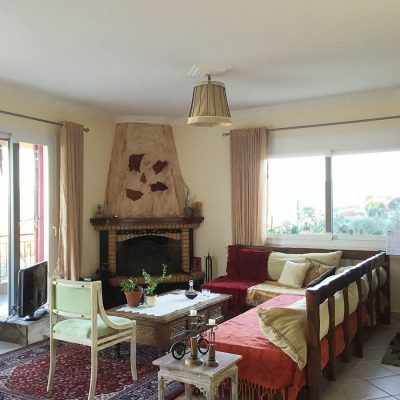 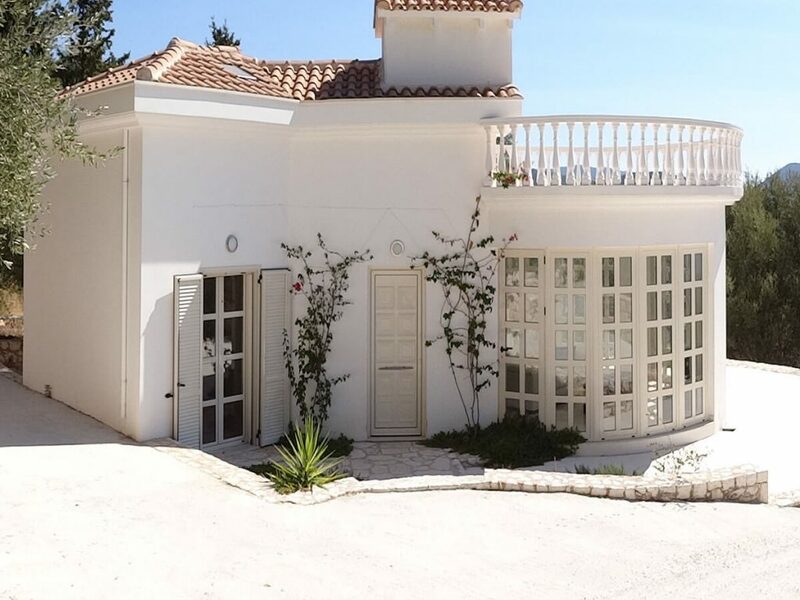 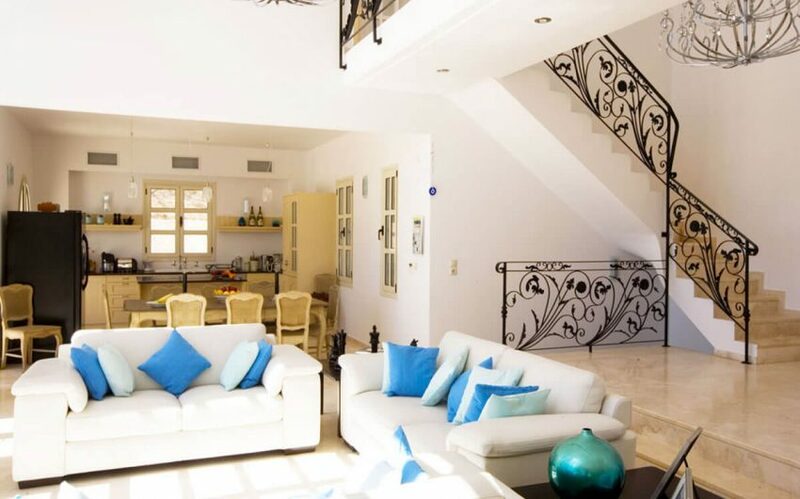 It is located in a quiet area close to other luxurious detached houses. 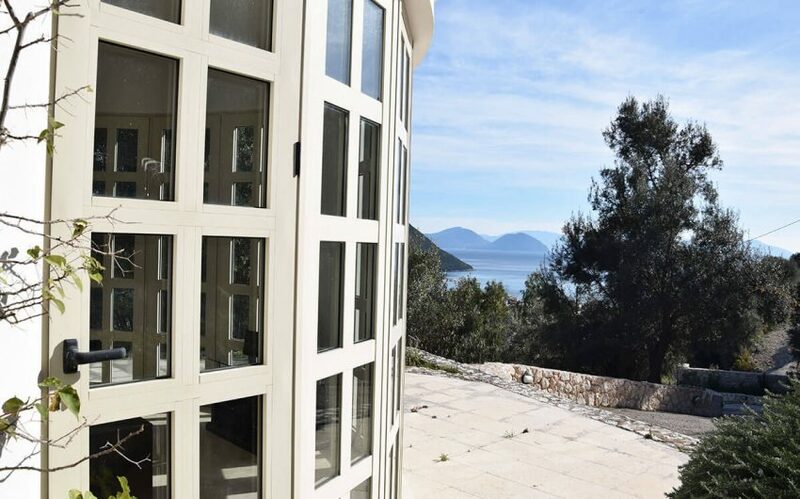 Its modern design was carried out with luxurious materials, offering a high aesthetic house, ideal both for holidays and for permanent stay for a family and their guests, since it has an independent guest house of 50 sq. 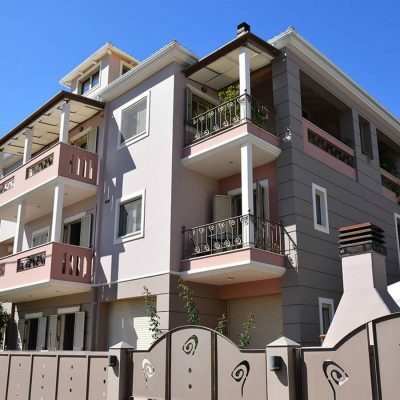 m. It is fully equipped with devices of the latest technology and furnished with tasteful and high quality indoor and outdoor furniture. 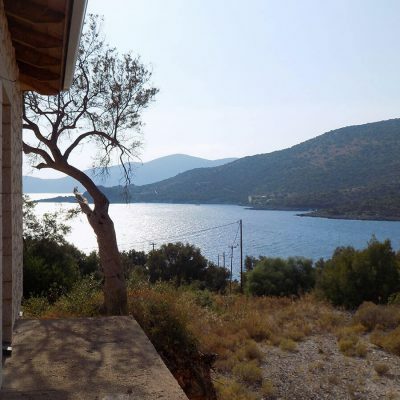 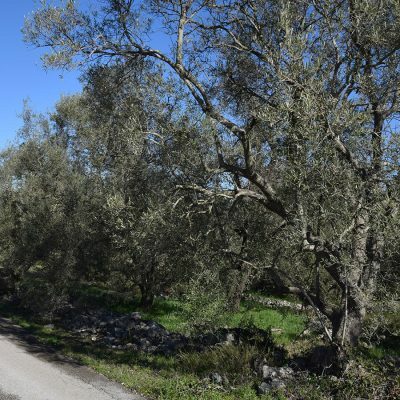 It is located a few kilometers from the famous beaches of the island (Porto Katsiki, Egremni, Gialos, Amousso, Mikros Gialos, etc.) 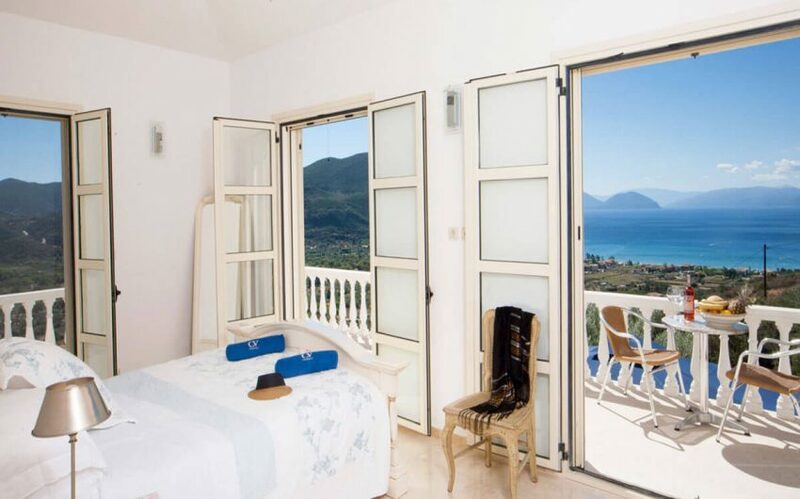 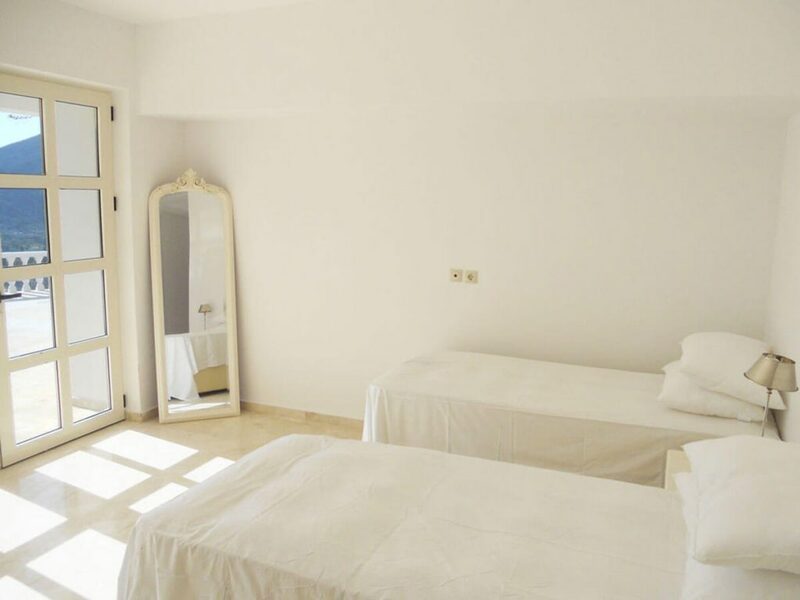 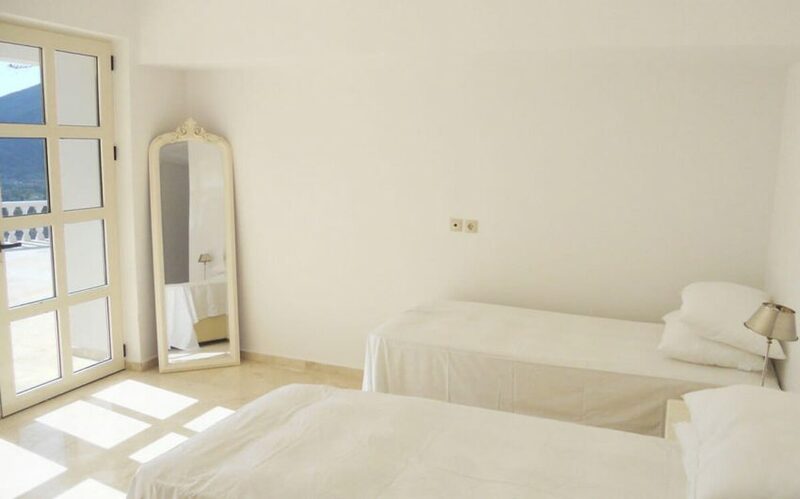 and a few minutes from the beach and the seaside village of Vasiliki, which provides all facilities and services such as restaurants, cafes, bars and shops. 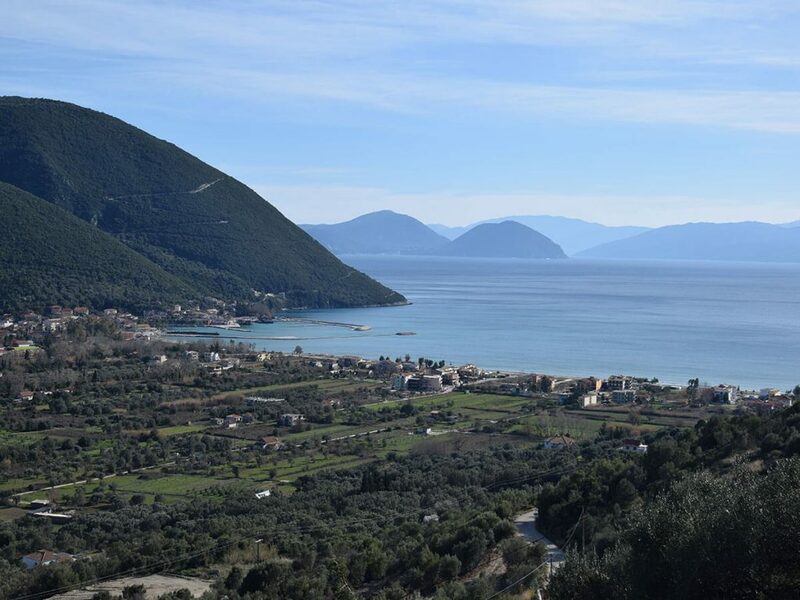 Marina construction works are in progress in the port of Vasiliki that will host more than 100 vessels, as well as the seaside pavement at the beach of 1,500 m (2016), which is considered an ideal destination for water sports such as windsurfing, sailing, water ski and wakeboard. 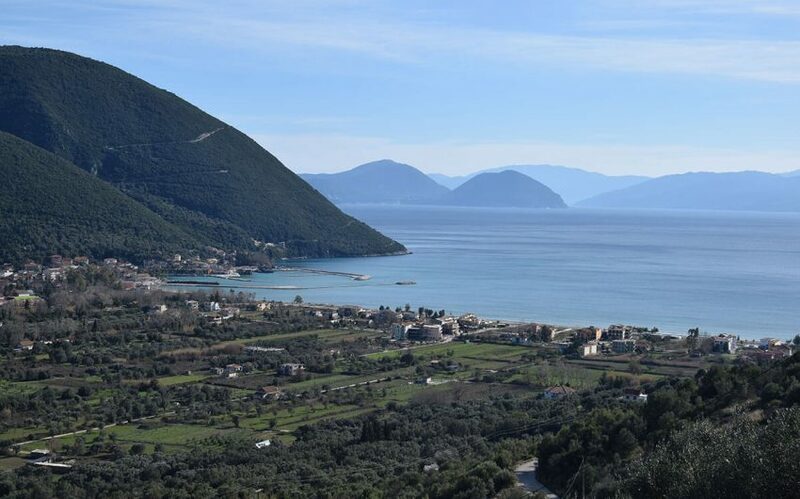 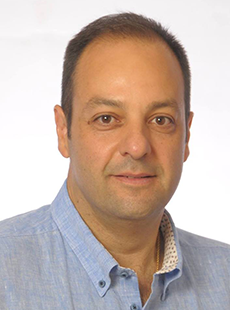 There is also permanent ferry connection with Kefalonia and Ithaca for beautiful and short trips. 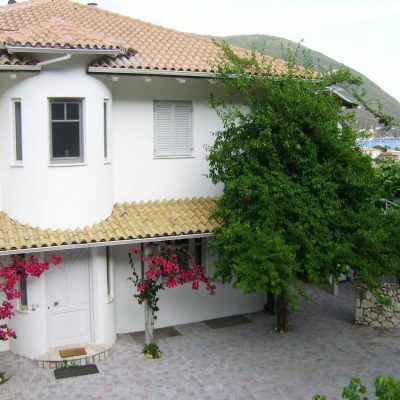 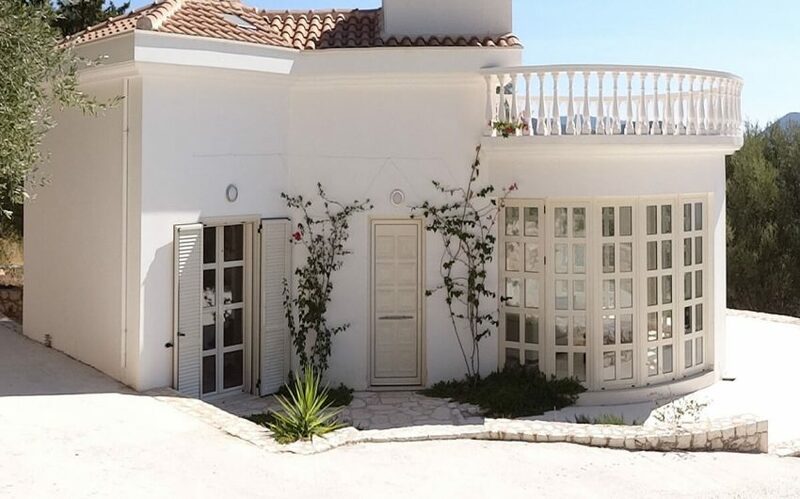 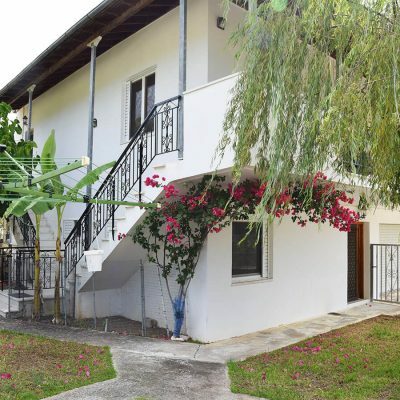 This specific house is one of the best of the island and will surely leave its next owner completely satisfied. 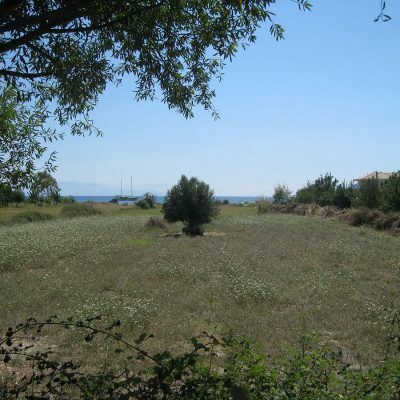 Distance from sea: 1,35 km. 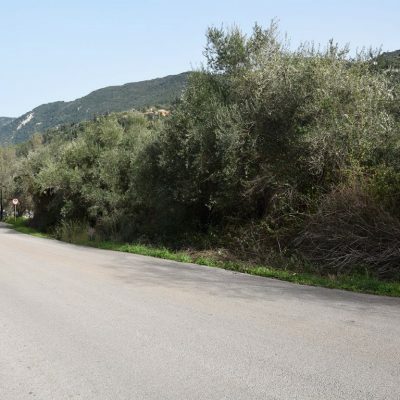 Distance from sea by car 3 km.